The battle for Saudi women to drive (and also take part in the Olympics) may have hit the headlines in 2012 but there are a million little battles fought by Saudi women everyday. 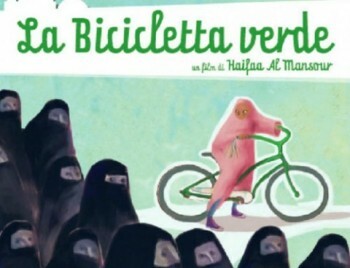 The new and award-winning film ‘Wadjda’ by Saudi filmmaker Haifaa Al Mansour charts a young girl’s wish to ride a green bicycle and race with a boy in her neighbourhood. Al Mansour says the film aims to put a human face on the issues in Saudi Arabia and charts the struggles of ordinary people who have to manoeuvre through the conservative society of the Kingdom. ‘Wadjda’, which won the best Arabic feature film at the Dubai Film Festival, is the first full-length feature ever filmed entirely inside the Kingdom. 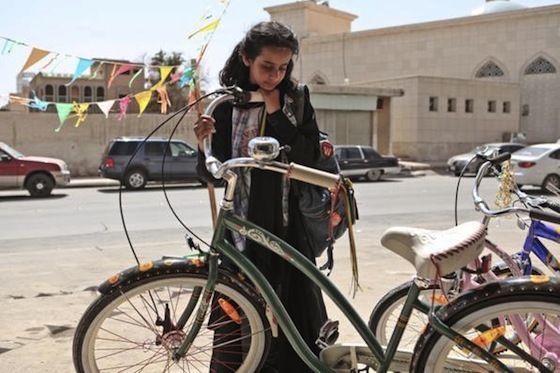 The film lead, Wadjda, is desperate to buy a green bike at her local shop but her mother won’t allow it, fearing repercussion from a society that sees bicycles as dangerous to a girl’s virtue. So Wadjda decides to try and raise the money herself. “I come from a small town in Saudi Arabia where there are many girls like Wadjda who have big dreams, strong characters and so much potential. These girls can, and will, reshape and redefine our nation,” insists Al Mansour. The filmmaker also explained that it was important for her to work with all-Saudi cast of actors and to tell the story with local, authentic voices. “I hope the film offers a unique insight into my own country and speaks of universal themes of hope and perseverance that people of all cultures can relate to,” she added. Saudi Spring for Women Drivers Begins Now! Are Saudi’s Female Olympians Harlots or Heroes?